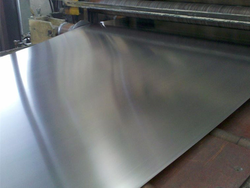 We are stockist and supplier, involved in offering a wide range of Cupro Nickel Products 70/30 that is offered to clients at most competitive rates. These Rods are highly used in Fuel Cells and Solar Energy and are highly demanded in diverse industries. The Copper Nickel Rod is made with best quality materials and known for their features like high tensile strength, strong, corrosion to resistance, efficient functionality. These Rods are traded to our clients all across the world. These metal rods are used in different industries like cement, steel, refineries. We are one of the leading exporter & supplier in the global market. 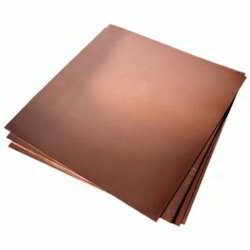 We are one of the leading Exporter and suppliers of Copper Nickel Sheet that have gained wide appreciation in the global market. 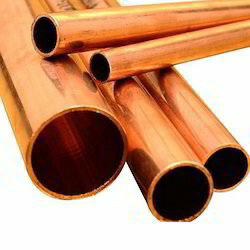 We are engaged in offering 90/10 Copper Nickel Tube. C706 is known for its moderate strength, weldability, and formability. The inclusion of controlled quantities of iron and manganese also give the 90/10 alloy an extraordinary resistance to general corrosion and stress cracking, as well as to erosion and impingement due to turbulent water containing air bubbles and silt flowing at high velocities. 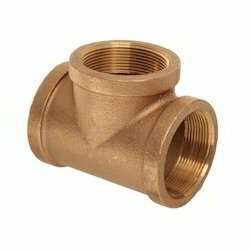 C71500 (70/30) copper-nickel in sheet, plate, rod, pipe, tube, fittings and flanges. C715 copper-nickel is known for its moderate strength, workability, formability and weldability. The alloy is often referred to as Copper Nickel 70/30 because it is made up of 30% nickel in its composition. 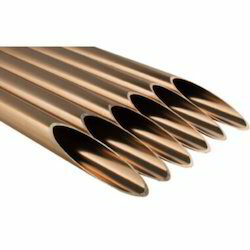 The standard designation for c715 Copper Nickel is ASTM B466 and ASME SB466. Copper-nickel alloy 715 finds its greatest application in areas of high temperatures and pressures combined with high velocity and destructive turbulence. The small iron content, up to 0.5%, gives the c715 alloy an extraordinary resistance to general corrosion and stress corrosion cracking, making it very suitable and ideal for the marine or industrial industries. These are developed using superior quality Copper Nickel Sheet with employing the latest technology in tandem with industry set norms. All our pipes are known for their fine finishing, dimensional stability, rustproof construction and durability. 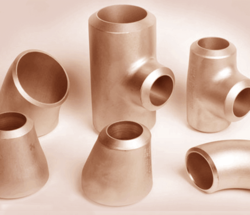 These are developed using superior quality Copper Nickel Pipe with employing the latest technology in tandem with industry set norms. All our pipes are known for their fine finishing, dimensional stability, rustproof construction and durability. We have carved a niche amongst the most trusted names in this business, engaged in presenting a standard quality assortment of Cupro Nickel Flange to our appreciated customers. 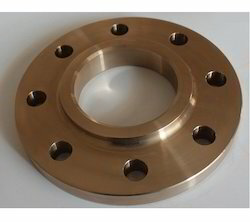 This Cupro Nickel Flange is extensively demanded in different other industries. This product is checked for quality under different parameters, which are set by the industry. This product is designed by our trained professionals using latest techniques and premium quality material. Our product is available in reliable in nature, robust in construction and known for their long functional life. We are engaged in offering Threaded Cupro Nickel Rods to the clients. We are engaged in offering Cupro Nickel Tee to the clients. 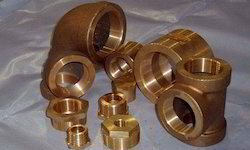 We have ready stock of Cupro- nickel Elbow, reducer, tee, coupling, pipe Rods, Sheet, flange as per size & requirement. These are developed using superior quality Copper Nickel with employing the latest technology in tandem with industry set norms. All our Products are known for their fine finishing, dimensional stability, rustproof construction and durability. 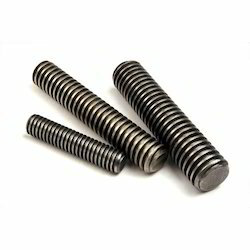 These are developed using superior quality Copper Nickel Tube with employing the latest technology in tandem with industry set norms. All our pipes are known for their fine finishing, dimensional stability, rustproof construction and durability. Looking for Cupro Nickel Products ?